Few days ago Blogger added a new Wikipedia Search Box Widget to their blogger gadgets inventory because Wikipedia is the biggest encyclopedia website in the world. Google team continuously working on blogger platform to upgrade more gadgets let see in 2013 blogger developer's changed the interface of old one with new one which has fully optimized and has brought so many additional features for SEO and webmasters and they will rapidly adding more and more gadgets in blogger dashboard in future. Now you may probably observed that few days ago blogger team has recently launched a Wikipedia Search box for blogger(blogspot) to their gadget gallery. By using the widget you will be able to search Wikipedia within your site. This article is all about Top 10 Indian bloggers and blogs. Many newbie bloggers are willing to know more about popular earning blogs and bloggers. 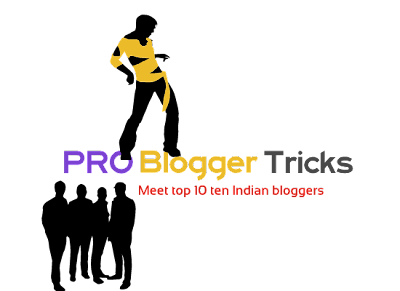 So i was thinking why should not write a perfect article about top 10 blogs and bloggers in India with their adsense Earning. So guys do you know the second name of blogging is business. Let me clear if you work on blog continuously, Seriously, and bring unique contents then i am sure you will get awesome income from it. Blogging becomes more and more popular now a days the competitions is out there and every blogger want to get and achieve the target to become a top ten bloggers. Some time you might be interested to stop search engine from indexing and crawling your blogger blog and it happens when we are going to introducing or publishing new blogger blog or website. When its need to stop search engine from your blogger blog?. well the question is right. Whenever we start a new blog or website then we always desire to stop all the major search engine from indexing and crawling the blog contents. Blog or website at the developmental stage has a lot of creepy errors and it will surely kill your blog beauty. 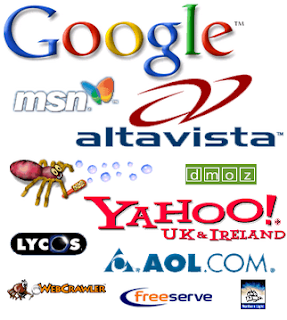 So i would be always recommended never access your blog or website in search engines when it is on developmental stage. 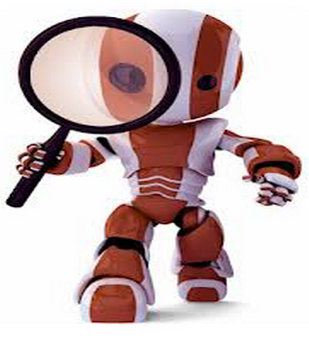 Robots.txt file in blogger blog play a vital role in SEO. Robots.txt file will surely increase your SEO rank if your put it in your blogger dashboard in proper way. Robots.txt file comes with new blogger interface. We always talking about blogger search preferences but we forget about the basic tools which can make our blog SEO friendly in a seconds. Now a days robot.txt file used by many pro bloggers that is why because of increasing theirs blog traffics and it also helps to eliminate some unpopular parts of your blog from search indexing. So the today article is all about robot.txt file. Robots.txt file instruct the search engine bot and tells them which parts of the blog should be access and which parts of the blog should be blocked from indexing forever. Whenever bots search your blog it first check the robot.txt file and follow all the instructions which are given by the robot.txt file. Social media sharing widget for blogger play a vital role in increasing your blog traffics. Now a days it is common that every blogger using social media buttons widgets to increase theirs blog traffics. This Social media widgets provides some of the basics social media networks buttons by which you can easily share your single post in a seconds with millions of peoples and in this way your blog SEO strength will become more powerful. Before this previously we have published a nice post about How to add All Social Sharing Floating Buttons Widget in Blogger. this widget was appearing after opening any post inside the blog. Facebook pop up like box play a vital special in increasing your blog traffics. Facebook pop up like box will increase your facebook page traffics in a very short duration. 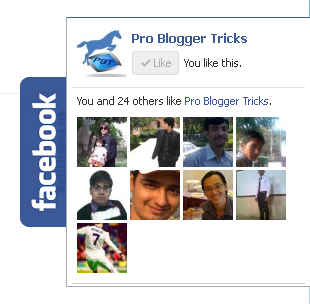 Previously we shared automatic sliding floating facebook like box in blogger. Today every blogger want to increase their blog traffics as well as theirs social media networks sites. So there are out thousands of ways to increase your traffics by different methods some of them you will have to do manually while some of them are automatics. Now we have not much time to works on social media networks thats why if we use automatic method then it will become better for us. So in today article we will discuss about new facebook pop up like box which appear before while visitor landing your blog home page. So in this way we have more chances to increase our blog website facebook fan page popularity. Being a blogger user if you are using default blogger template then sometime you must worried about how to remove blogger navbar which appear at the top of your blog. Every blogger wants to give the professional design to theirs blog websites but if you are working on blogger platform with default blogger template then it will show a navigation bar at the TOP of you blog. we observed that every newbie start with the default blogger template while sometime they need to remove blogger navbar apearing at the top of a blog. Blogging becomes more interesting if visitors share your contents in different social media networks sites with their friends less in time. But now a days it becomes a common problem for every blogger and webmaster when they spend alot of time in sharing theirs contents on different social media sites and waste their precious blog posting time. really it will take all your precious time think about it. Today in this article i will share with you some amazing Social Sharing buttons widget with the help of this social sharing buttons widget you will be able to share your each post contents in less than a minute. this vertical social sharing floating buttons widgets widely used by many bloggers and webmasters. You might have observed that default Blogger templates are not well optimized according to blog awesome and professional design. This template are limited in designing mode and mostly they are normal. Now the question is arising if you want tp make your blog more professional and fancy then you will have to change many mores like default images, links, widgets and sidebar to professional designing. Today article is all about Facebook pop up like box. Facebook pop up like box now a days used by many bloggers and webmaster to increase their Facebook fan page traffics in short period of time.Facebook pop up like box gain popularity day by day and it becomes a well known Facebook widget in 2013. inYou might have observed that now a days every one every webmaster and bloggers promote theirs blog website in different ways and styles. 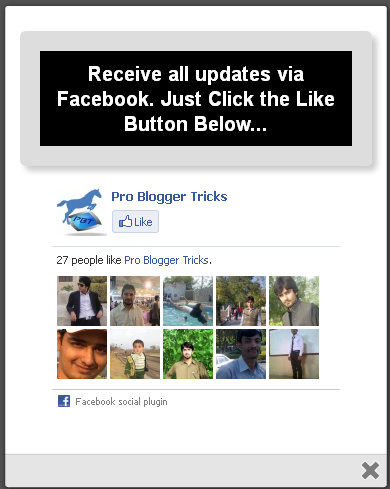 Many of them use this widget and it will surely increase your facebook fan page traffics. Google webmaster tools introduce an additional features to display author google plus profile picture in google search engine result. Sometime you might have seen a lot of websites and blogs which appears in google search engine result with author profile thumbnails picture this is why, it just because of new additional features in google webmaster tools. Now you can easily show your own google plus pictures along with all of your web pages, articles that you own on your site. Google released search engine optimization starter guide book. It is the complete book and everything about SEO, blogger tips and tricks, blogger posts, blogger description, post title, and you will find many more inside it. We see that today every blogger want to be a complete certified SEO consultant because the competition is over there throughout the globle world and everyone will not be succeeded unless have a brief knowledge about Google SEO rules and terms with conditions. 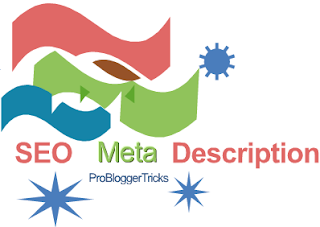 Google Team insert advance option in blogger new interface sepacial for SEO which is called " Meta Description or Dynamic meta description" dynamic meta description play a vital role in blogger SEO because all the major search engines likes and love those websites blogs which have dynamic meta description for home page and for each blogger post. So the interesting thing is that we can write post description for each blogger post without changing or editing the html we have only insert the code in blogger template and also writes few words about sites in blogger dashboard and thus we have full rights to writes meta description inside blogger post editor. All bloggers are alerted that few days ago google team change the designing interface of google plus with large cover photo. 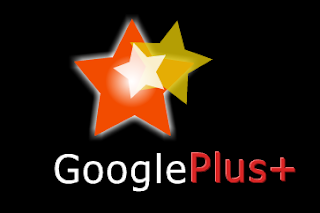 Google team continuously working on google plus account to upgrade more functions like facebook, we see that few years back google team included fan page activity inside google plus account now we have another best features for google+ with awesome larger cover photo like in facebook. Now you we can easily put our larger cover photo inside google plus profile as well as for google plus fan page. check my google plus page you will be surely feel some new changes in my google plus page with larger photo cover. Post title and Blog title play a vital role in the eyes of SEO because the are appeared in search result and will surely get many chances to having high clicking rate once they have optimized in right way. So in today post we will setup how to place Post title first before blog title in search result. 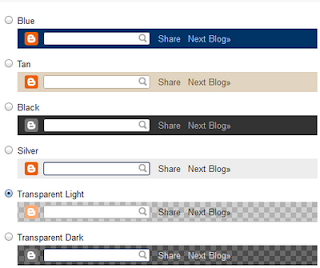 in default blogger template blog title display first in search result and then post title which is not good for SEO and for better views in search engine result. Sometimes it becomes very difficult to find domain name for your blog/website. To select a perfect and best domain name for a blog it will take your precious time, when to check your domain name on all popular domains platform like .com, .net, org,. etc. 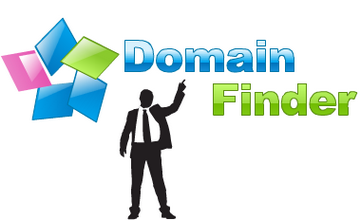 but here i will share with you some amazing tools which will help to pick your domain name in a seconds. So in this article you will know all about the best online tools to check and pick the domain name instantly. 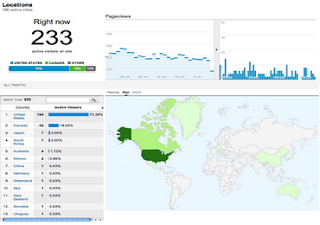 Sometime you might be get interested to check your blog/website online visitors statistics. There are out of thousands online tools, websites helping in the same regards but in all of this and Top rank well and accurate visitors statistics counter tools which is Google Analytics (GA). Google analytics is powerful online tools from google that show all the traffic statistics about your blog/website visitors. GA is a unique visitors tools that provides real time traffics statistics of your site as well as all your blog audience, contents, keywords, SEO and many mores.